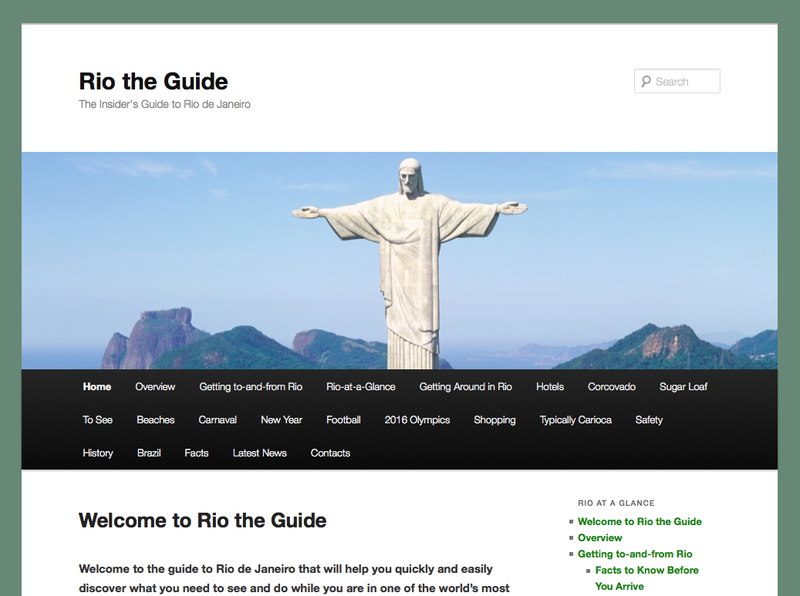 Our sister site, Rio: The Guide, is now up-and-running and when finished will give a complete guide to the city for any visitor. It will even be of help to the residents of the city and is based on “The Insider’s Guide to Rio de Janeiro”, a book that for many years was the city’s top selling guide book. As well as information about visiting the city, the news feed and Twitter feeds include up-to-date breaking news and developments from the city, including about the Olympic and Paralympic games, as well as carnaval. It is still a work in progress but we hope you find it useful and look forward to your feedback. Close to 300,000 people visited this site and World Cup: The Guide during the FIFA World Cup and we hope the Rio site will prove to be as popular. This entry was posted in Rio de Janeiro by Critical Divide. Bookmark the permalink.